With the new WordPress features, your WordPress Website gets more flexibility as to how the website content is displayed. WordPress 5.0 will mostly help you with the process of working with your site, and not as much how the site will look at this point, but that will change over time. How can you upgrade to WordPress 5.0? You must backup your WordPress Website prior to updating WordPress 5.0. You have to prepare for a backup of your WordPress Website, for in case you need to switch back to the previous version. One option we recommend is to set up a copy of your site (called a staging site) and test the upgrade on that. This is true of any major upgrade and can also show any issues with minor upgrades before committing them to your main site. You can use the WP Staging plugin for this – click here to see the plugin. Search for WP Stagnig in the Add Plugin page of the admin, then install and activate it. Make a copy of your site before upgrading, then test the upgrade on that site before upgrading your main site. Before updating to WordPress 5.0, you must check with your WordPress theme developers that the website theme supports the new Block Editor built into WordPress. Again, you probably want to set up a staging site to test on first. If the theme is not Gutenberg ready, or if it is no longer being supported, you can install the Disable Gutenberg plugin to keep the current editor – click here to see the plugin. Simply search for Disable Gutenberg in the Add Plugin page of the admin, then install and activate it. Ensure that the shortcodes you use (if any) in the content area of the WebPages, still work when you upgrade to the WordPress 5.0. Again, you probably want to set up a staging site to test on first. You must thoroughly audit your WordPress Website post updating to WordPress features of 5.0. You need to go through the website, the blog posts, etc and confirm that the website functions well. With the introduction of WordPress 5.0, the mobile experience has improved for all the users. The aim is to improve the page loading speed of the themes on mobile devices when using the fully responsive twenty nineteen theme and by making all the default themes responsive. The WordPress Team has always been and is even now actively working towards improving the security of the WordPress Website. The WordPress Team suggests using a Hosting Service that offer SSL (Secure Socket Layer) Certificate (Itabix offers this for free with every account), using two-factor authentication and a security plugin such as All In One WP Security & Firewall. Unfortunately, we cannot recommend WordFence as we have had cases where it generated massive traffic for no apparent reason on several websites. WordPress Website users are provided with the new Gutenberg fast front end editor with WordPress 5.0. This is an advantage for the WordPress Website users who prefer editing on the website itself. With WordPress 5.0, WordPress users can crop the background images, which helps in saving the time that it used to take in cropping manually and then uploading. Twenty Nineteen is a lightweight theme that can be used for starting professional blogs and websites. This theme is built around the new Gutenberg editor, and is completely responsive. WordPress users can customize it as per their requirements. 5.0.3 maintenance release is now available and it contains 37 bug fixes and 7 updates. This maintenance release is aimed at making small adjustments on the Gutenberg block editor and also fixing major bugs. 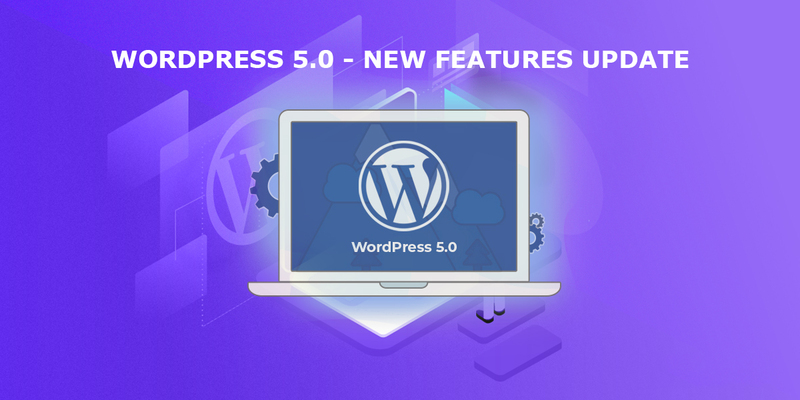 We hope this article has been helpful in understanding everything all the new features in WordPress 5.0.